ELECTRONIC NEWS GATHERING (ENG), REMI At-home Production or Broadcast Live from anywhere with Emmy award-winning cellular video uplink solutions from AVIWEST enabling a shift in live video acquisition away from expensive satellite transmission, delivering a cost-effective cellular alternative that offers resilient broadcast-quality video uplink while enhancing freedom of mobility in the field for all live broadcast media outlets. 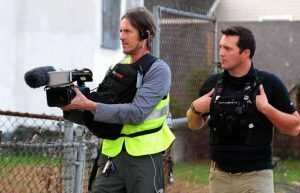 A single reporter or camera operator, outfitted with a video camera and AVIWEST backpack, can be dispatched to perimeter areas of an unfolding story to interview eyewitnesses and passersby, cover other emerging sub-plots, or provide live ‘beauty shots’. AVIWEST is the perfect complement to live sporting events, providing a mobile, on-the-spot solution for quick updates, sideline, and locker room interviews, crowd shots, pre, and post-game shows, press briefings, roaming cameras at team events and media days, and more. Broadcasters are also utilizing AVIWEST for transmitting live games and competitions online, as well as to stadium large-format screens (jumbotrons), and more. 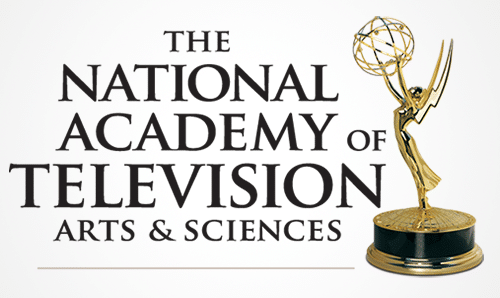 AVIWEST customers regularly utilize the broadcast video equipment for entertainment events, such as red carpets, premieres, live reality shows, fashion shows, hometown live shots on talk shows, and celebrity coverage. AVIWEST offers easy live content acquisition to live in-studio TV shows that rely on feeds from the street or remote locations to augment their programming. Even if you don’t require a live feed from the field in every instance, AVIWEST is ideal for preparing footage on the fly. Edit a take and add graphics in the field on your laptop and then uplink the complete file via FTP utilizing the multiple modems of the AVIWEST system. Also, you can easily upload large amounts or raw footage for studio editors to process. Based on a mix of hardware and software technologies, AVIWEST has developed the world’s most advanced, compact, and portable video hybrid contribution systems. AVIWEST solutions feature a complete range of cutting-edge technologies including video compression, transmission over various wireless networks, video reception, and decoding. WHY DO I NEED BONDED CELLULAR? One of the most critical challenges for broadcasters today is arriving first on the scene of a breaking news story and being able to send live video coverage. 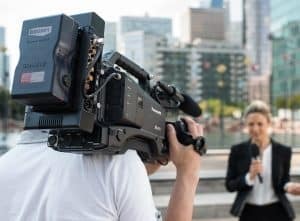 Fierce competition between TV channels, combined with the fact that consumers are demanding news faster and on multiple devices, means that broadcasters must have reliable, cost-effective, and portable video uplink solutions at their disposal. Flexibility is especially important today. As the number of available networks continues to grow, broadcasters need to be prepared for any situation. Choosing a system that supports a broad range of networks, including 3G/4G cellular/wireless, WiFi, Ethernet, and satellite will guarantee that a broadcaster can air live news from any location around the world. Ease of use is also important and will enable a news organization to react to breaking news. A video uplink system designed with the user in mind will include features like automatic recognition technology, which detects real-time network capabilities and bonds together multiple IP-based networks, as well as a touch-screen interface for simplified configuration and operation. Additionally, for larger news operations, the ability to monitor and manage an entire fleet of digital mobile news-gathering equipment is an extremely helpful piece of cellular bonding. Keeping this need in mind, AVIWEST’s new DMNG Manager will be launched at IBC2014. It is a live video contribution platform that enables control over a wide range of equipment including DMNG transmitters, smartphones using the DMNG APP, and DMNG Studio receivers, allowing broadcasters to quickly allocate resources and route live video content for transmission over 3G/4G cellular wireless, WiFi, Ethernet, and satellite networks. By streamlining DMNG operations, the solution provides broadcasters with significant time and cost savings. While cellular bonding used to be a technique that was only used by major news organizations, today it is pretty commonplace. Nearly all TV news channels report on live events and breaking news situations using mobile cellular bonding technology – even smaller, local broadcasters. Improvement of networks and technology advancements for cellular bonding solutions has been critical in the development of cellular bonding mobile news-gathering. Regarding the networks, we’ve seen mobile network capabilities expand from 3G to 4G and beyond, with 5G on the horizon. As consumer demand for high-speed data and high-quality video services have gone up over the years, there has been an increased need for fast broadband Internet access. AVIWEST solutions work by detecting and aggregating multiple IP-based networks (e.g., 3G, 4G, WiFi, Ethernet, satellite). As wireless connectivity increases, the AVIWEST solutions will enable broadcasters to take advantage of every IP network within their immediate area as they become available. We achieve this through a high-performance mechanism that automatically senses and bonds together all possible IP connectivity, providing broadcasters with the biggest pipe to spread their video content. Significant enhancements are available today in cellular bonding technology. , Some of these include more robust performance, better video quality, high-quality recording for store and forward, ASI outputs, dual hardware encoders, fragmented MPEG4 file recording, decreased power consumption, compact size, and lighter weight. All of these improvements enhance the broadcasters’ ability to move faster as they are not bogged down carrying heavy equipment. The reduced power consumption also helps to decrease operating costs. Over the years, flexibility has dramatically increased in the field of cellular bonding. 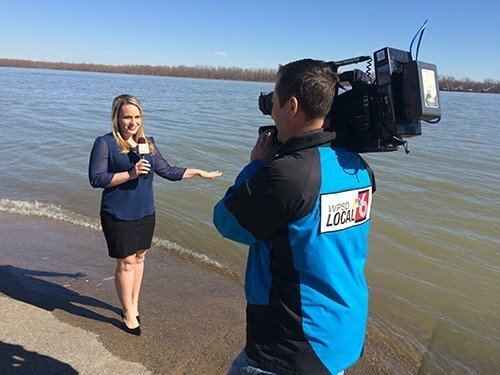 In the past, broadcasters and video professionals relied more on traditional satellite-based systems for live news and events coverage; however, these systems can be limited in their scope. With a satellite-based system, users need to keep the ENG camera close to the vehicle, or they will not be able to receive the signal. Using these systems, mobility, and indoor coverage are nearly impossible unless a complex and costly infrastructure is set up. This approach is not ideal in scenarios where broadcasters need to cover breaking news. For example, to broadcast the Tour de France live using a traditional satellite-based system, one would need a helicopter, an airplane, and a satellite base station. This kind of system is cumbersome, costly, and complex. 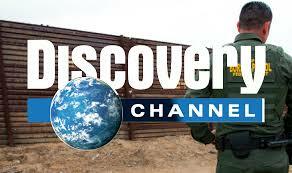 Therefore, we only see deployments such as this for a small percentage of major sports events in the world. The AVIWEST DMNG system is now widely used for the annual Tour de France with high reliability and success at a fraction of the cost. Thanks to recent technology advancements, cellular-based systems offer broadcasters and video professionals the flexibility to broadcast live events in areas that are well covered by 3G or 4G networks. A portable bonded cellular transmitter, coupled with a high-gain cellular antenna array, improves signal resilience and the quality of the live video transmission, providing users with a robust solution for covering live events, such as a marathon or a cycling race, from a motorcycle. By enabling broadcasters and video professionals to broadcast news on the go more efficiently, cellular-based systems dramatically change how the industry covers remote events in a way that was not possible even a few years ago. With 3G or 4G network deployment globally, we believe that cellular uplink devices are a future-proof solution that allows easy, affordable coverage of breaking news stories or sports events anytime, anywhere. Being able to maintain a high video quality from remote corners of the world can be challenging, but not impossible. It requires mastering three types of technologies. The first is network bandwidth. Broadcasters can get the most amount of bandwidth by bonding together all available networks, such as WiFi, 3G/4G, and satellite, and then adapt the video compression according to those available networks, in real-time. The second technology that comes into play is video compression. Advanced video compression techniques (e.g., H.264 and next-generation standards like HEVC) and pre- and post-processing tools (e.g., filtering, video concealment process, etc.) are needed to reduce the required bandwidth for a given video quality level and improve the quality of experience for viewers. Finally, video contribution is key. The transmission must be robust to handle possible errors and packet loss. FEC and packet re-transmission are the most common features to implement to improve the transmission reliability. How can Bonded Cellular Save Money? 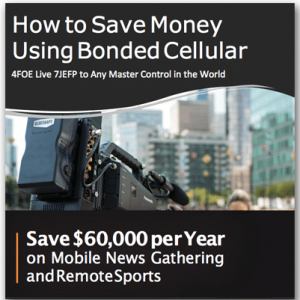 The way bonded cellular technology can help you save money is by eliminating your Satellite Truck, your ENG Truck or your Mobile Production Truck. Let’s crunch some conservative numbers. 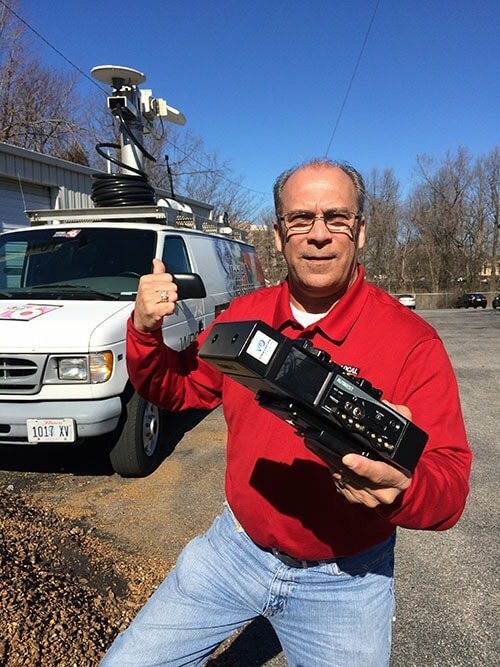 Take the daily rental of a Sat Truck, say, $2500 per day. Assume you rent it 25% of the days in the year for your workflow operations. You will come up with a number close to $250,000. Apparently, some people might use a vehicle more or less, so that figure varies. I think you’ll get the idea that bonded cellular solutions are not that expensive. The technology has come such a long way with latency as low as three seconds, we can deliver broadcast quality video live on the air. 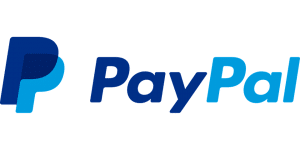 If it makes sense for your business workflow, if it makes sense for your business model, we’re here to help you maximize your revenue and ease your workflow. At the end of the day, if we can save you a lot of money, that’s a win-win for everyone. The units will have multiple cellular modems in them. There are four major carriers (Verizon, AT&T, T-Mobile, Sprint) here in the U.S. You could have up to 10 modems. Usually, what we’ll do is have two from each of the major carriers. So we’ll have two Verizon, two AT&T, two Sprint and two T-Mobile. Ninety-nine percent of the time, Verizon and AT&T carry most of the load. You want the diversity, if there’s a big crowd in a ball game, you’ll be thankful. One of the four carriers will give you some throughput. The beautiful thing about bonded cellular, if you only get 200 or 300 kilobits per second per modem, you aggregate that over eight modems, you get two, three, four, five megabits per second through quickly. Broadcasters often get up to a ten megabit per second back to master control with as little as three seconds of latency. Transmission of up to 15Mbps is possible over the 3G and $g cellular networks. The variable bit rate encoder and adaptive algorithm automatically adjust to network conditions. Here at our corporate offices in Irvine, there are a bunch of canyons up in the hills with a weak cellular signal. The product is rock solid; it will adapt. If necessary, it will even drop down to SD mode. It will still show a 16x9 image. It will upscale to HD in the receiver. AVIWEST is a pioneer in portable video-over-cellular technology, addressing all demands for full HD or SD quality, resiliency, availability, mobility and sub-second latency in a highly innovative technological solution. The DMNG PRO designed with a cutting-edge adaptive algorithm combining cellular communications and video encoding. The AVIWEST solution bonds up to 10 cellular (3G, 4G LTE, WiMAX) modems over multiple carriers, as well as multiple LAN and even BGAN satellite connections. This creates a reliable, broadband video uplink pipe over multiple narrow-band pipes. Using any camera, the fully-integrated self-powered compact unit provides video resolution ranging from CIF through D1 (SD) and up to 1080i HD. The bonded 3G/4G solution aggregates all data connections simultaneously to achieve high bandwidth and smooth transmission, even as bandwidth and signal levels change across the different connections. While single modem video delivery devices might suffer from performance fluctuations, loss of transmission or inability to go live, AVIWEST multi-link solutions allow broadcasters and online video professionals to enjoy the benefits of both the 4G and 3G worlds. AVIWEST’s solutions are considered to be a viable alternative to costly satellite uplink or portable satellite TV equipment. • Adaptive Bit Rate (ABR) of the H.264 video encoder. This mechanism adapts the video encoding rate continuously according to the changing network conditions. Taking into considerations the continuous real-time measurements of the performance of every available link, the user’s resolution and latency requirements, cellular channel behavior and other parameters, ABR reduce or increases the H.264 video encoding rate. The result: a real-time video rate adaptation mechanism that optimizes the encoding process on-the-fly. In wireless and cellular environments, packet loss and errors are common inherent phenomena. Adaptive and predictive Forward Error Correction (FEC) mechanisms at the video application level are employed as needed for each specific operating conditions. Unlike most of our competitors, who offer solutions consisting of a heavy PC in a backpack, AVIWEST’s systems are compact and lightweight. In addition, AVIWEST’s hardware platforms offer a high MTBF, low power consumption, and unparalleled mobility, making them perfect for breaking news and live events coverage. it’s an encoder that adapts in real time to the bonded cellular network. It looks at the bit rate and it looks at the latency. It’s not only the bandwidth but it’s the delay of the pipes that the device is watching and reacting to. Some of the solutions out there now are basically a PC thrown in a backpack or a PC thrown in a suitcase. This is a dedicated piece of hardware. There are encoders and circuit boards. It’s not a glorified computer, PC, or Linux box. It’s dedicated hardware for live bonded cellular streaming. The team at AVIWEST is composed of engineers from high-tech companies specialized in video, multimedia, and embedded electronics, including Grass Valley, Ericsson Television, Canon, and Sagem, with more than 100 years of cumulative experience in these areas. To provide our customers with superior video quality and the best consumer quality of experience (QoE), the AVIWEST R&D engineers have developed a best-in-class encoder that compresses video according to the real-time characteristics of various bonded networks, their bit rates, and delays. Video resolutions and frame rates can be automatically set up according to a perceived video quality model. AVIWEST’s solutions work by detecting and aggregating (i.e., bonding together) multiple IP-based networks (e.g., 3G, 4G, WiMax, Wi-Fi, Ethernet, satellite). As the world becomes increasingly covered in wireless connectivity, our solutions enable broadcasters to take advantage of every IP network in their immediate area as they become available. To perform this crucial task, a high-performance mechanism automatically senses and bonds together all possible outlets of IP connectivity to provide broadcasters with the biggest pipe to spread their video content. The antennas are tuned for each of the carriers’ frequencies and each of the types of technology whether it be CDMA or LTE. The internal antennas are optimized for that particular type of modulation and radio frequency. They’re all tuned, visual are optimized, voltage standing wave ration, impedance matching. It’s all state-of-the-art design. That’s what sets this system apart, the antenna technology. If you’re in a crowded environment like a soccer field, a football field, baseball game or what not, if you may want high gain quad external wideband antennas. What this does is give you an extra strong signal strength for critical conditions in which live video transmission is highly important. Operators can put this on the back of motorcycles or anywhere where you need a little extra signal. For example, if you’re in a ballpark and you want to get a little extra kick, this can help if you have either a weak signal or high cellular congestion. We get the signal out via a tower that is a few miles away and leap over the local congestion. That gives us an added advantage in getting video throughput. Some of the other players claim to have IFB and tally functionality. I have never seen others work reliably. The AVIWEST tally interface and IFB actually work. The director and master control can actually talk to the camera operator and talk to the talent through the cellular device. You can get the backpack to hold this in, so the operator can wear it on his back or the two quad antennas and or use the iPhone remote app or Android app. The IFB is not like a group or a party line where the guy who’s transmitting from Bangladesh is hearing instructions going to the guy in London. You can talk to each transmitter independently.
. He puts it in the trunk of his car and the things still running. Master control can take control and shut it down. You can put the assets in different groups. If you’re Disney, you could have an ABC group, you could have an ESPN group. You could have different assets for your different networks or you could designate your different crews. Maybe you have crews out there with more than one backpack or transmitter each. It shows you a Geo-location for this particular asset. It shows you the IP address that it’s using, and it shows you its status that it’s live. That gives the operator an opportunity to like, “Maybe I don’t want to do a firmware upgrade on this a given system because it’s live.” Then the software can keep a history of what’s happening. You’re probably getting the idea that you can manage your whole ecosystem here. We have new Linux software running on our studio receivers, so it gives us more flexibility. We can map a given stream to the internet, to YouTube, UStream or a CDN if you want to distribute the video, not only to master control but to other locations or go directly to the web without any post-production. In order to ensure high-quality uplink transmissions, our DMNG systems, and custom high-gain antennas maximize the energy transmitted by modems based on CDMA and LTE frequencies and their associated bandwidths. The VSWR (Voltage Standing Wave Ratio) is tuned to obtain best-in-class RF efficiencies, while the use of multiple modems in a reduced space creates coupling between antennas so that the quality of isolation becomes a primary preoccupation. Through the latest software tools for antenna simulation, RF analysis equipment, and periodic measurements in anechoic chambers, our solutions are guaranteed to operate optimally, in any conditions, at all times. The Specific Absorption Rate (SAR) measures the rate at which energy is absorbed by the body when exposed to a radio frequency (RF) electromagnetic field. In the United States, the FCC requires that wireless communication devices such as smartphones and handheld tablets have a SAR level at or below 1.6 watts per kilogram (W/kg) taken over a volume containing a mass of 1 gram of human tissue. According to the European Union standards (EN 62209-2-2010) the SAR limit is 2 W/kg averaged over 10 g of human tissue. AVIWEST is committed to ensuring that its solutions successfully pass the SAR measurements and can be safely used while touching the body. All of our solutions have passed SAR measurements performed by an approved European laboratory. The reports are available to customers upon request. AVIWEST’s DMNG (Digital Mobile News Gathering) system is the most advanced and comprehensive cellular bonding video hybrid contribution platform. Using the system, broadcasters and other video professionals can flawlessly capture and broadcast live HD or SD video, leveraging available 3G/4G cellular wireless, Wi-Fi, Ethernet, and satellite networks. In the broadcast industry, time is of the essence. People want to know the news as and when it happens. To deliver breaking news and live events with speed and agility, broadcasters need portable, cost-effective, and reliable video solutions that can be used from any location around the world. Video quality and efficiency are also important. As consumer demand for HD content increases, broadcasters require video solutions that enable the delivery of high-quality video content at the lowest possible bit rates over networks that may be congested or impacted by weather conditions. AVIWEST’s DMNG systems have been deployed by a number of international, national, and local TV channels, news agencies and video service operators to cover breaking news, conduct interviews, and produce live television shows. They are the perfect solution for broadcast and online media applications based on their compact design; increased flexibility, reliability, and affordability; and ability to provide crystal-clear video despite varying or poor network conditions. Are Two Hardware Encoders Better Than One? Two is always better than one. This applies to encoders when you are transmitting live from the field. 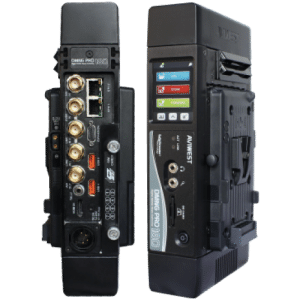 All bonded cellular systems have an adaptive bit rate encoder that adjusts the video bit rate according to the available bit rate on the cellular and IP networks. Most providers will locally record the adaptive bit rate video for the record, store, and forward functions. Most customers want to record high-quality video at all times. A second encoder can be used to record high-quality, constant bit-rate 4:2:2 video for the record, store, and forward functions. You could argue the system is over-engineered. A second contribution grade, 4:2:2 encoder similar to an Ericsson, Fujitsu or Ateme built in for free saves an additional cost of about $15-20K and 1 rack space in your truck. Is Cutting the Time to Produce a Hot Story Important? The video stream is Recorded as Fragmented MPEG4. Editors do not have to wait to edit and produce a fast-breaking story. Many broadcasters will transmit live for breaking news stories. The high-quality version recorded with the second encoder is pushed near live using the store and forward functions. The production team will grab the live recording and use it as a proxy to start editing, adding graphics, etc. A few minutes after the live transmission, the high-quality version arrives in the receiver ready to finish the edits, which can be done 10-15 minutes behind the live transmission. Why is fragmented MPEG 4 recording important? Most MPEG 4 recorders require that the file or video stream finish recording before editing the file. Typically, the file sizes can be several Gigabytes in size or minutes or hours in length. With fragmented MPEG 4 recording, the files are recorded in smaller or fragmented chunks. This permits immediate use of the live and near-live recorded files. This can have a significant impact on production workow, saving delays of minutes to hours getting produced content to air. Is an IP Work Flow Important? The AVIWEST DMNG StreamHub Receiver has been IP ready for over a year. All Broadcasters are planning or implementing an all IP workow. ESPN is one of the first networks to have all IP routing for their master control. It makes sense to use a bonded cellular system that has been IP ready for over a year with multiple IP and SDI outputs. The AVIWEST DMNG StreamHub receiver can receive up to 16 DMNG PRO transmitters, DMNG Laptops, DMNG APP (iOS & Android) plus live video streams from other receivers. The AVIWEST receiver can simultaneously output up to 4 HD SDI, up to 32 IP outputs, and up to 16 IP inputs. It supports numerous protocols such as BONDING/SAFESTREAMS, RTMP, RTSP, HLS, and TS/IP. The DMNG StreamHub receiver is incredibly powerful and IP ready maximizing your return on investment.